Coleman Montana 8 Person Camping Tent now is on sale at Amazon.com for only $119.99(Reg. $219.99). 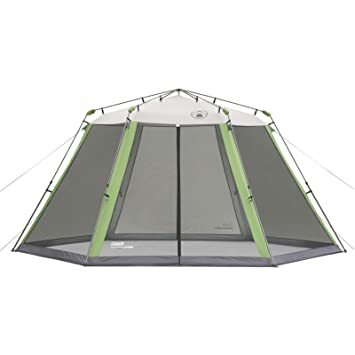 And you will get an additional $20 off when you add this tent to your cart (discount will show up on the final order page). Plus, FREE Super Saver Shipping! 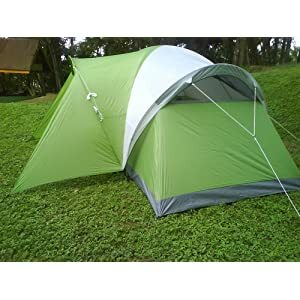 夏天来了， 准备好去camping了吗？ Amazon 现在 select Coleman Tents & Summer Shelters on sale for today only. Going camping? 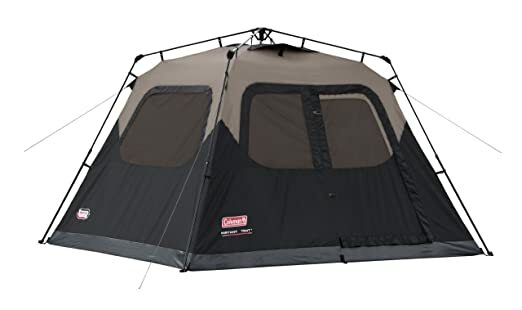 Amazon is offering up this Coleman Evanston 6-Person Screened Tent 6人用的帐篷降价 for just $93.99 (reg. $178.99) shipped, which is the lowest price it’s been! 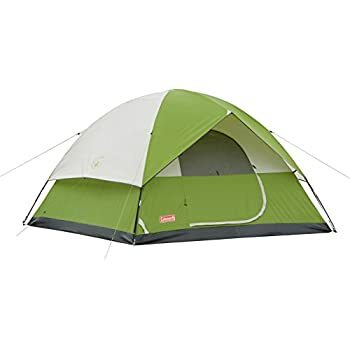 Amazon.com now you can get this Coleman Tenaya Lake 8 Person Fast Pitch Instant Cabin Camping Tent with WeatherTec for just $129.45 shipped (regularly $229.99) – LOWEST PRICE! Amazon.com now this Coleman WeatherMaster 10 Person Dome Tent for just $128.27 shipped (regularly $299.99). 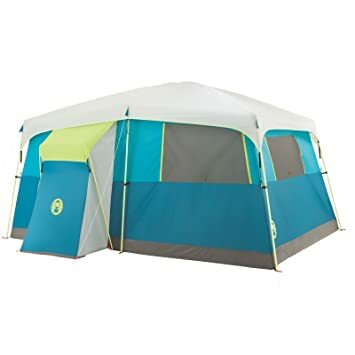 This tent provides a comfortable sleeping environment for a single family and will accommodate up to 10 people and the center height of 80″ makes it comfortable for most people to stand in. It also features a “D” style door for easy entry – the entrance comes with both a hinged door and a zipper door. Plus, there is a single electrical access port for powered camp sites or for use with a generator. Walmart.com now is offering up this highly rated Coleman 10’x10′ Instant Canopy/Screen House for only $48.56 when you select store pickup. This 10×10 Instant Screen House creates a roomy, bug-free and ventilated area just about anywhere, plus setup takes less than a minute. The canopy is built with UVGuard protection to help block the sun. 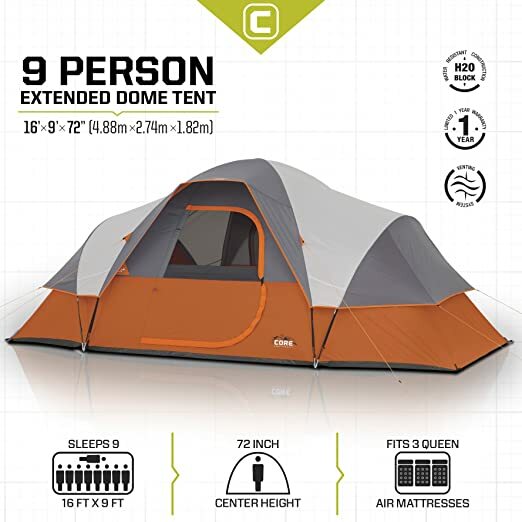 Amazon.com now is offering this CORE Equipment 9-Person Extended Dome Tent for just $89.29 (regularly $179.99). Shipping is free. 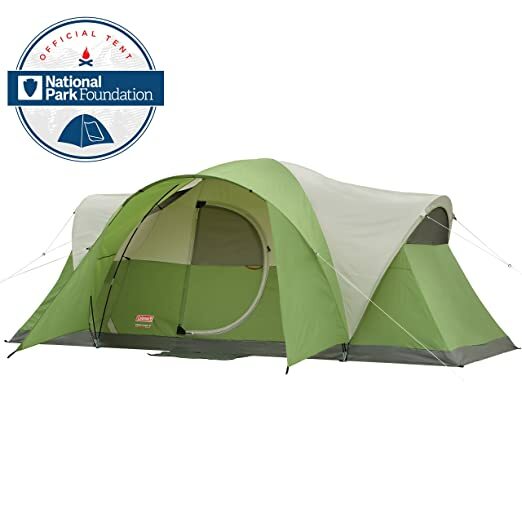 This tent measures 16′ x 9′ and can fit up to three queen size air mattresses. It also features a gear loft with lantern hook, pockets to keep items organized and off the tent floor and includes tent poles, rain fly, tent stakes and a carry bag. 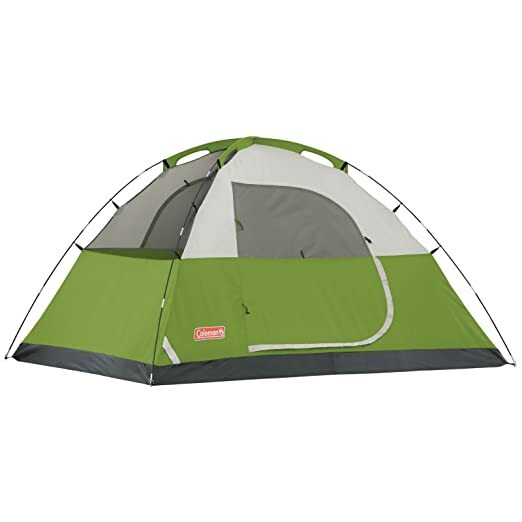 Target.com now you can get this Coleman Flatwoods II 4 Person Tent for only $39.99 shipped (regularly $59.99). This seems like a great deal since Amazon has this priced at $85! This tent can fit a queen-sized airbed, has storage pockets, a rainfly and includes a 1 year warranty. 这个是太阳伞， 适合户外野营或picnic时， 或者看小孩户外体育比赛时用。Today only, Amazon is offering this highly rated Sport-Brella Umbrella – Portable Sun and Weather Shelter for only $34.49 shipped (reg. $59.99). The Sport-Brella gives you instant portable protection from the sun, rain and wind, has a UPF of 50+ quick shade protection and sets up in just 3 seconds! Amazon has Coleman 15' x 13' Instant Screenhouse Canopy on sale for $80.30. Shipping is free. 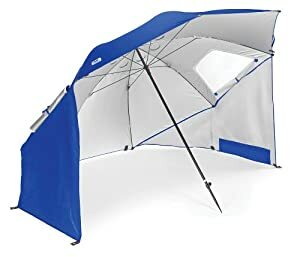 Walmart.com now get this Super-Brella Portable All-Weather and Sun Umbrella 8-foot Canopy for only $29.49 (regularly $44.99). Choose free in-store pick up. 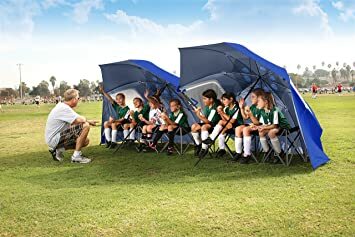 These umbrellas give you instant portable protection from the sun, rain and wind, has a UPF of 50+ quick shade protection and sets up in just 3 seconds! 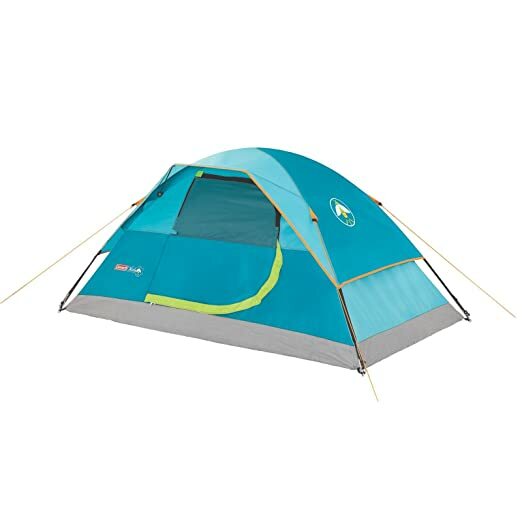 Walmart.com now you can get this Ozark Trail 1-Person Hiker Tent for just $18.18 (regularly $29.97)! Free in-store pick up. This 2-pole design folds small enough to fit inside a backpack, weighs just 4 pounds and features a gear loft and two organizer pockets. Walmart.com now get this Ozark Trail 8 Person Family Tent in red for just $44.97 shipped (regularly $79)! At 115 sq. ft., this family tent sleeps 8 people and fits two queen-size air mattresses. It features two rooms with separate doors, and has five windows that help provide cross ventilation to keep you cool and comfortable. 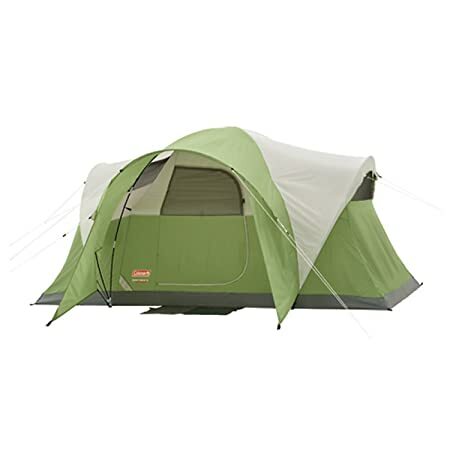 Amazon 现在 dropped the price on this Coleman Sundome 4 Person Tent down 4人用的宿营帐篷， to just $37.25 (regularly $59). Amazon now get this Coleman Oversized Quad Chair with Cooler for just $16.19 (regularly $30.90)! This chair has a built-in cooler in the armrest that holds up to four cans, and a storage pocket and cup holder on the other armrest. It also includes a carrying case so it’s easy to fold up and take camping or to sporting events! Even better, it includes a 1-year limited warranty! 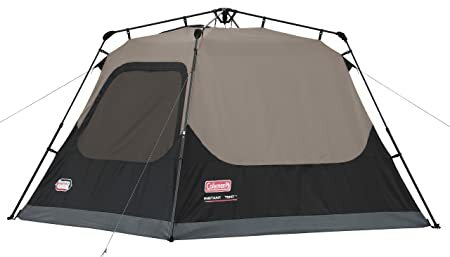 On Amazon.com you can now get this Coleman Sundome 6-person Tent for just $66.94 shipped (regularly $136.99). This tent has a dome design making setup quick and easy! It has a rainfly awning for shade and rain protection, plus a floor vent for maximum ventilation. It can sleep up to 6 people or two queen airbeds. 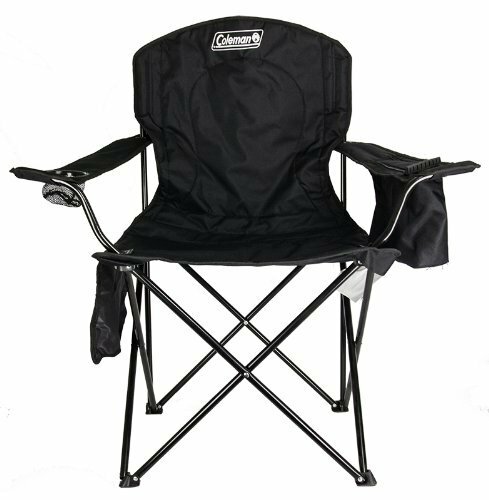 Even better, it has a 6-ft. height allowing most people to stand up comfortably! 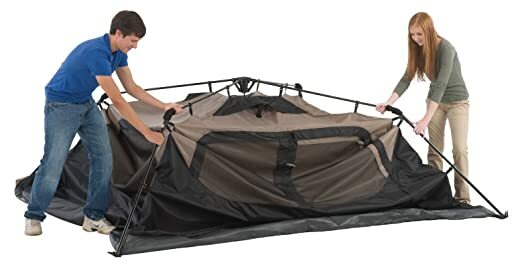 On Amazon.com where they are offering this Coleman 4-Person Instant Tent for only $76.05 shipped (regularly $159.99) – lowest price! This instant tent has pre-attached poles that make setting up camp as simple as unfolding, extending, and securing. In about a minute, your tent will be up and ready to go! The tent offers enough room for a queen size air bed and comes with integrated storage pockets to help you keep small items organized. Plus, it includes an expandable carry bag that lets you pack it away easily. 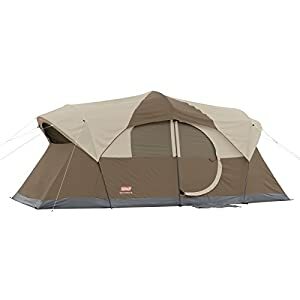 On Amazon.com where they are offering this Coleman Montana 6-Person Tent for just $69.41 shipped (regularly $179.99) – lowest price! This HUGE tent can fit two queen air mattresses in its 12′ x 7′ space. Plus, it’s designed to keep water out with the WeatherTec system with patented corner welds and inverted seams, and the extended awing provides cover for shoes, coolers, and more.